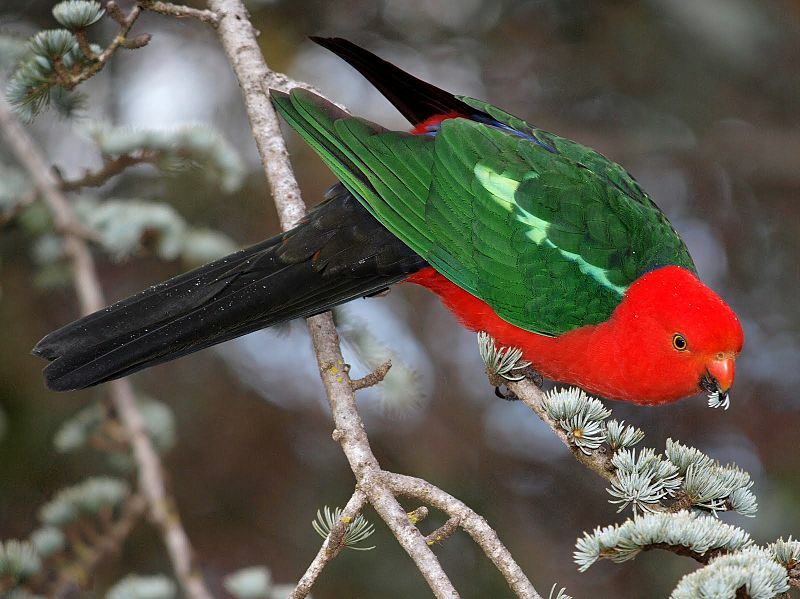 KING PARROT OR KING LORY. 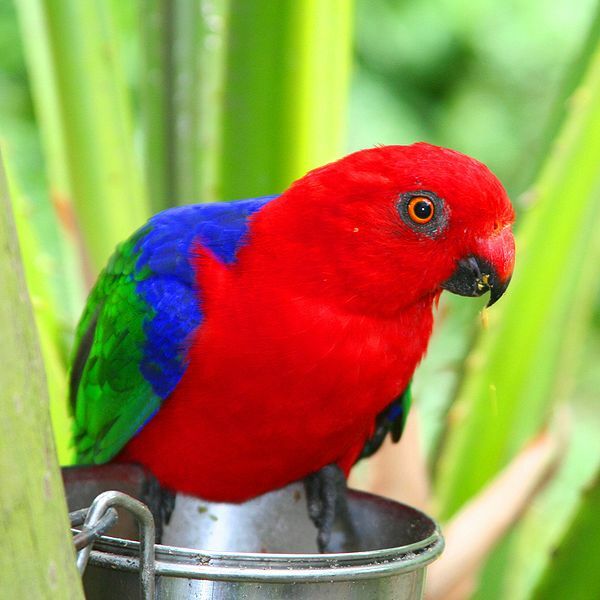 ORY is the name of certain birds, mostly from the Moluccas and New Guinea, which are remarkable for their bright scarlet or crimson coloring, though also applied to some others in which the plumage is chiefly green. Much interest has been excited by the discovery of Dr. A. 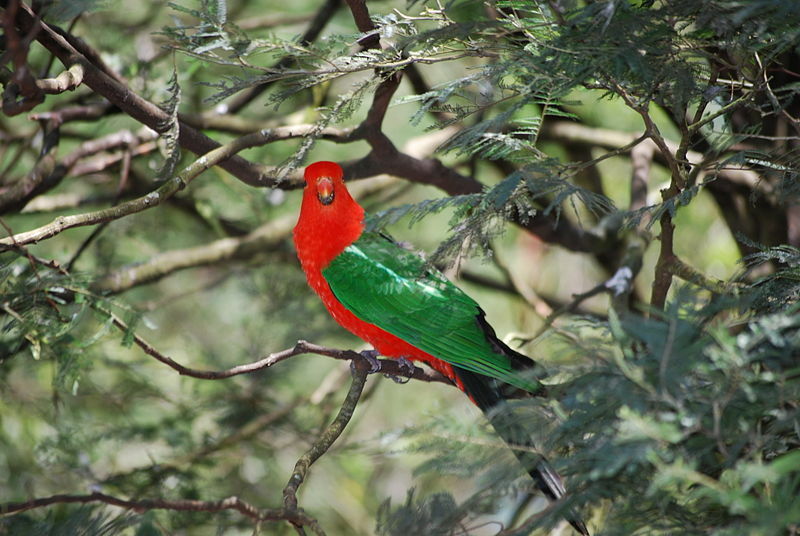 B. Meyer that the birds of this genus having a red plumage are the females of those wearing green feathers. For a time there was much difference of opinion on this subject, but the assertion is now generally admitted. They are called “brush-tongued” Parrots. The color of the first plumage of the young is still unsettled. 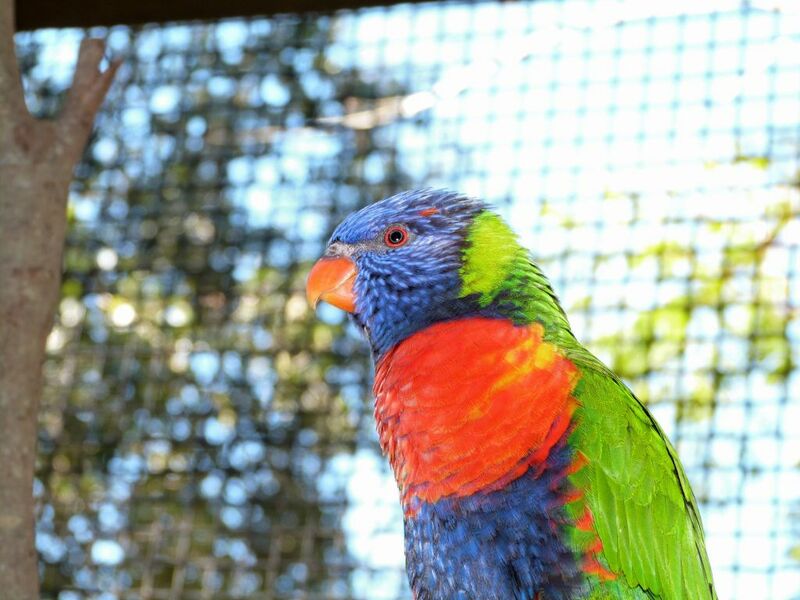 This bird is a favorite among bird fanciers, is readily tamed, and is of an affectionate nature. It can be taught to speak very creditably, and is very fond of attracting the attention of strangers and receiving the caresses of those whom it likes. 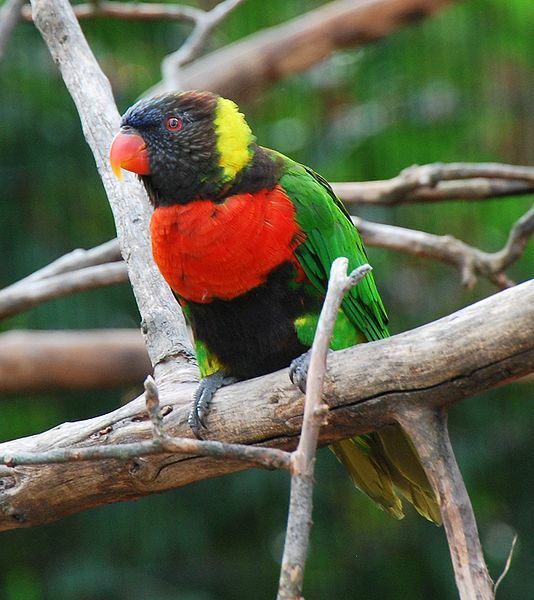 There are few things a parrot prefers to nuts and the stones of various fruits. 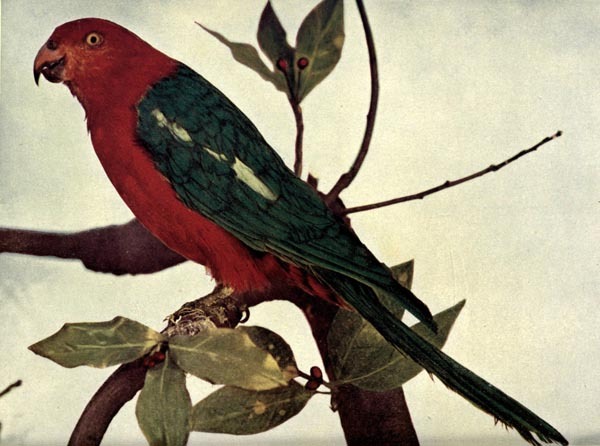 Wood says he once succeeded in obtaining the affections of a Parisian Parrot, solely through the medium of peach stones which he always saved for the bird and for which it regularly began to gabble as soon as it saw him coming. “When taken freshly from the peach,” he says, “the stones are very acceptable to the parrot, who turns them over, chuckling all the while to show his satisfaction, and picking all the soft parts from the deep indentations in the stone.” He used to crack the stone before giving it to the bird, when his delight knew no bounds. They are fond of hot condiments, cayenne pepper or the capsicum pod. If a bird be ailing, a capsicum will often set it right again. 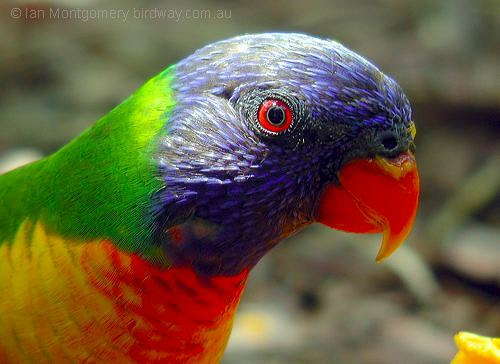 The parrot is one of the hardiest of birds when well cared for and will live to a great age. Some of these birds have been known to attain an age of seventy years, and one seen by Vaillant had reached the patriarchal age of ninety three. At sixty its memory began to fail, at sixty-five the moult became very irregular and the tail changed to yellow. At ninety it was a very decrepit creature, almost blind and quite silent, having forgotten its former abundant stock of words. A gentleman once had for many years a parrot of seemingly rare intelligence. It was his custom during the summer to hang the parrot’s cage in front of his shop in a country village, where the bird would talk and laugh and cry, and condole with itself. Dogs were his special aversion and on occasions when he had food to spare, he would drop it out of the cage and whistle long and loud for them. When the dogs had assembled to his satisfaction he would suddenly scream in the fiercest accents, “Get out, dogs!” and when they had scattered in alarm his enjoyment of it was demonstrative. This parrot’s vocabulary, however, was not the most refined, his master having equipped him with certain piratical idioms. 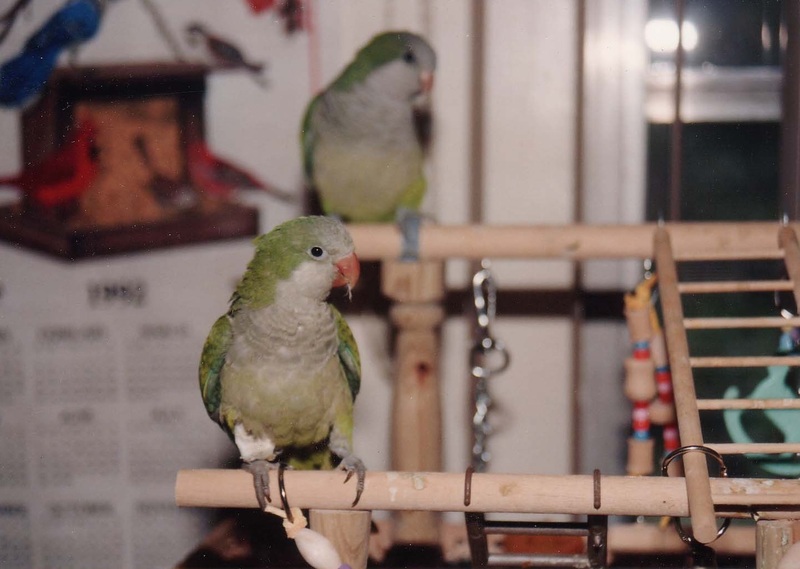 According to authority, the parrot owner will find the health of his pet improved and its happiness promoted by giving it, every now and then, a small log or branch on which the mosses and lichens are still growing. Meat, fish, and other similar articles of diet are given with evil effects. It is impossible for anyone who has only seen these birds in a cage or small inclosure to conceive what must be the gorgeous appearance of a flock, either in full flight, and performing their various evolutions, under a vertical sun, or sporting among the superb foliage of a tropical forest which, without these, and other brilliant tenants, would present only a solitude of luxuriant vegetation. 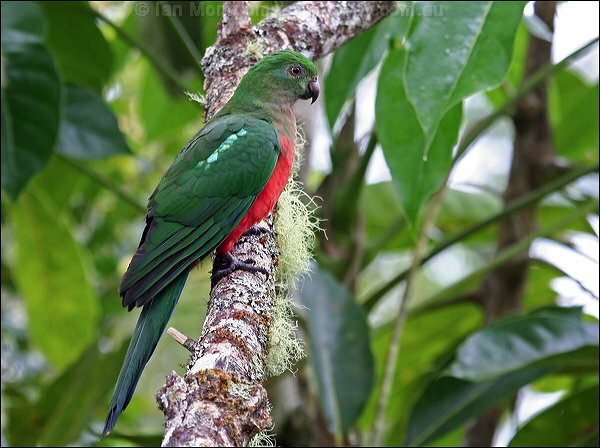 The Psittacidae – Parrots Family is where you will find these Parrots. There are 350 species in 77 genus. Quite a large family. Their “cousins”, the Cockatoos and New Zealand Parrots join them in the Psittaciformes Order. 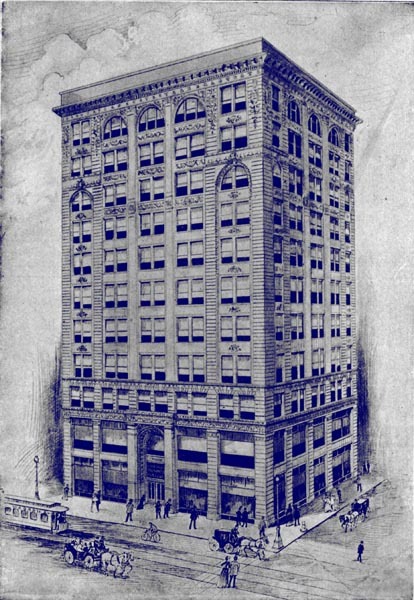 Wabash Ave. & Randolph St. I am a Parrakeet. I belong to the Parrot family. A man bought me and brought me here. It is not warm here, as it was where I came from. I almost froze coming over here. I am not kept in a cage. I stay in the house and go about as I please. There is a Kitty Cat in the house. Sometimes I ride on her back. I like that. I used to live in the grass lands. It was very warm there. I ran among the thick grass blades, and sat on the stems and ate seeds. I had a wife then. Her feathers were almost like mine. We never made nests. When we wanted a nest, we found a hole in a gum tree. I used to sing to my wife while she sat on the nest. I can mock other birds. Sometimes I warble and chirp at the same time. Then it sounds like two birds singing. My tongue is short and thick, and this helps me to talk. But I have been talking too much. My tongue is getting tired. I think I’ll have a ride on Kitty’s back. Good bye. ARRAKEETS have a great fondness for the grass lands, where they may be seen in great numbers, running amid the thick grass blades, clinging to their stems, or feeding on their seeds. Grass seed is their constant food in their native country. In captivity they take well to canary seed, and what is remarkable, never pick food with their feet, as do other species of parrots, but always use their beaks. “They do not build a nest, but must be given a piece of wood with a rough hole in the middle, which they will fill to their liking, rejecting all soft lining of wool or cotton that you may furnish them.” Only the male sings, warbling nearly all day long, pushing his beak at times into his mate’s ear as though to give her the full benefit of his song. The lady, however, does not seem to appreciate his efforts, but generally pecks him sharply in return. 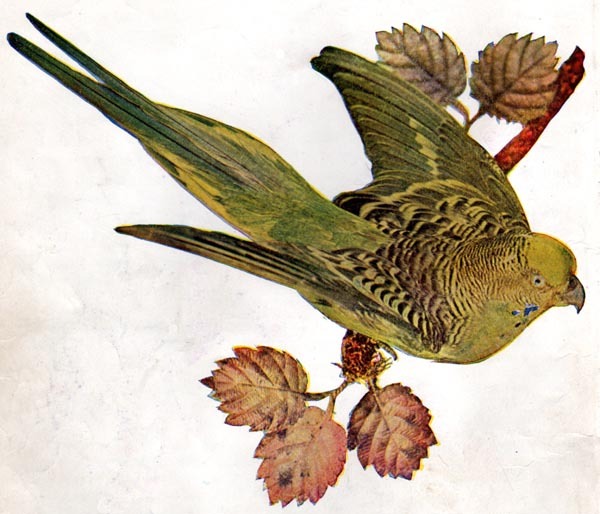 A gentleman who brought a Parrakeet from Australia to England, says it suffered greatly from the cold and change of climate and was kept alive by a kind-hearted weather-beaten sailor, who kept it warm and comfortable in his bosom. It was not kept in a cage, but roamed at will about the room, enjoying greatly at times, a ride on the cat’s back. At meals he perched upon his master’s shoulder, picking the bits he liked from a plate set before him. If the weather was cold or chilly, he would pull himself up by his master’s whiskers and warm his feet by standing on his bald head. He always announced his master’s coming by a shrill call, and no matter what the hour of night, never failed to utter a note of welcome, although apparently asleep with his head tucked under his wing. I am not really sure which Parakeet they are referring to in this article. Today their is not really an Australian Grass Parakeet, but the Elegant Parakeet favors the photo-drawing, but also Budgerigars also favor that drawing. At any rate, they are neat little birds and both can talk as mentioned. “The Budgerigar (Melopsittacus undulatus), also known as common pet parakeet or shell parakeet informally nicknamed the budgie, is a small, long-tailed, seed-eating parrot, and the only species in the Australian genus Melopsittacus. Wild budgerigars are found throughout the drier parts of Australia, where the species has survived harsh inland conditions. Naturally green and yellow with black, scalloped markings on the nape, back, and wings, breeders have created a rainbow of blues, whites, and yellows, greys, and even forms with small crests. Budgerigars are popular pets around the world due to their small size, low cost, ability to mimic human speech and playful nature. 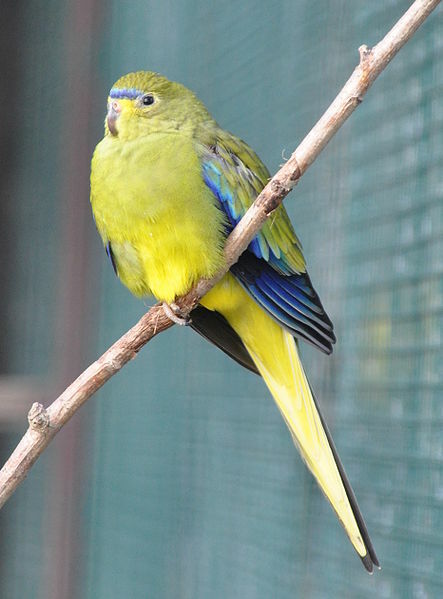 The budgerigar is closely related to the lories and the fig parrots. 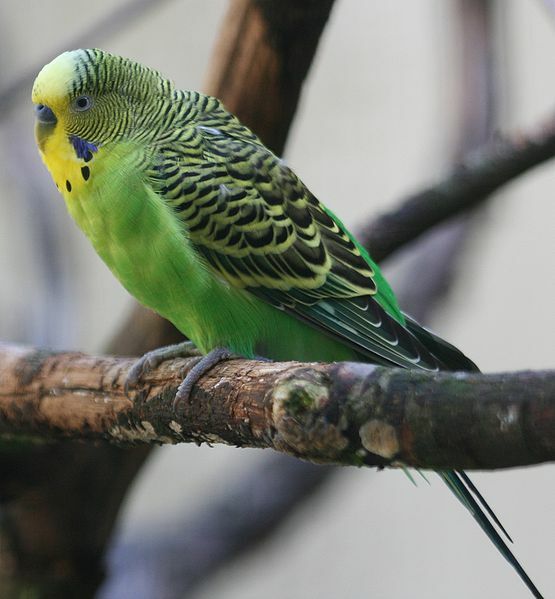 Although budgerigars are often, especially in American English, called “parakeets“, this term refers to any of a number of small parrots with long, flat tails. 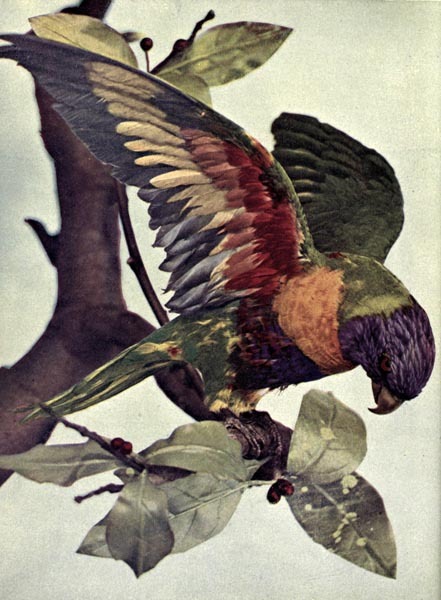 Both the Elegant Parrot (Neophema elegans) and the Budgerigar (Melopsittacus undulatus) are in the Psittacidae – Parrots Family. 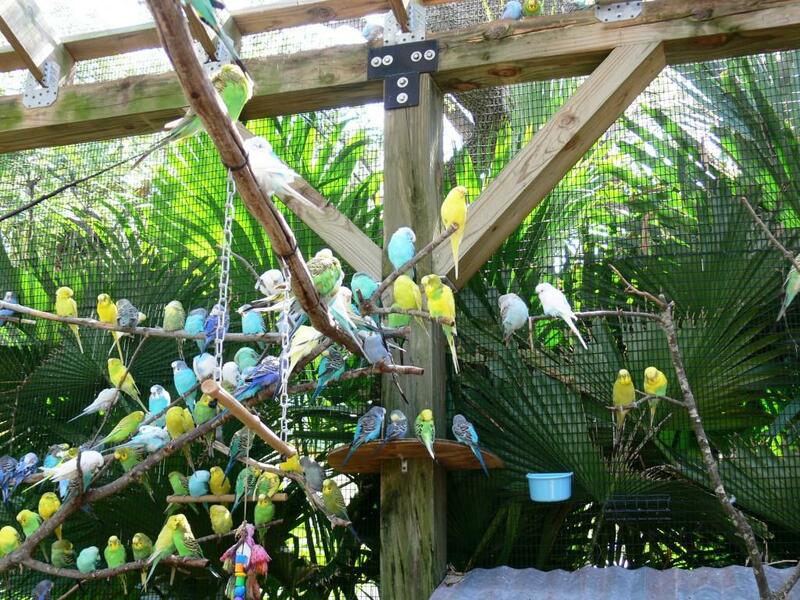 I lean toward the Budgerigar, but take your choice. Whatever, they are very colorful and a delight to watch and observe. 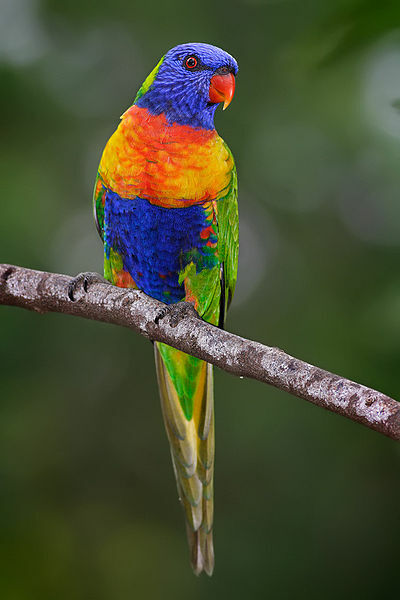 The Lord put lots of color potential in the parakeet family. 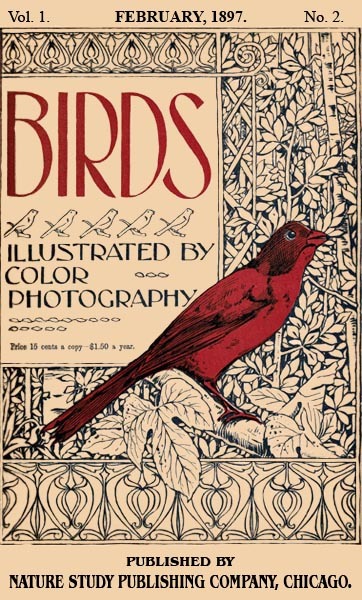 Birds Illustrated by Color Photography – Revisited – Introduction The above article is the fifth article in the monthly serial that was started in January 1897 “designed to promote Knowledge of Bird-Live.” These include Color Photography, as they call them, today they are drawings. There are at least three Volumes that have been digitized by Project Gutenberg.